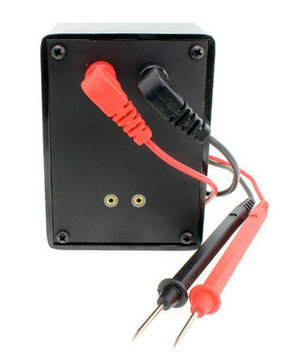 Excelta offers a variety of Test Equipment. Last week we covered the Excelta TM-500 Rechargeable Intellitweez Meter. 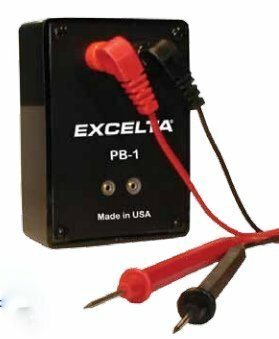 Today, we are going to cover the Excelta PB-1 - a four inch pocket beeper continuity tester. Ths PB-1 allows an operator the quick discernment of point-to-point continuity testing by a clear audible tone. Pocket-beeper analyzes circuit junctions for normality. The Excelta PB-1 will indicate leakage, a short or open conditions of transistors. Pocket-beeper’s portability, coupled with its self-contained design and rugged case, makes it ideal for production and inspection applications. Applications include: continuity, rapid in-circuit scanning of transistors and diodes, detects shorts, open and leakage in components. Additionally it shows positive go/no go testing, and also includes field serving and maintenance. Features include: an automatic power shut-off when not in use, audibility indicates conditions, low power drain for long battery life, will not harm any solid-state device or delicate circuits. Specifications: Power by 1.5VDC "C" dry cell, probe signal voltage 1.6 volts peak-to-peak, 4" high x 1" deep x " wide, and the weight is a maximum of up to 12 ounces. To shop all of Excelta's Testing products click here.